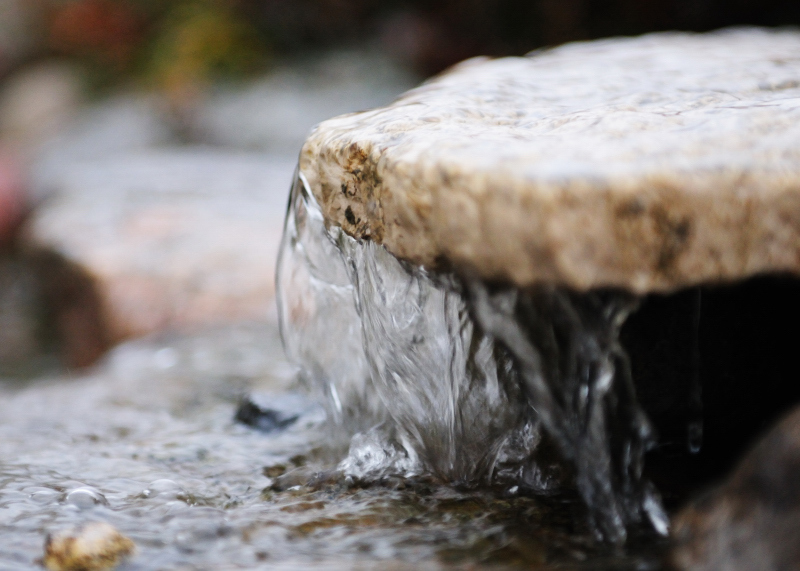 After two months of dormancy, our water garden's recirculating pump is back in business, flowing water over the waterfall, filling the air with the soothing sound of flowing water. All it took was two trips to the Home Depot, two trips to Lowe's, one trip to the Do It Best Hardware store, numerous calls to the local water garden contractor, research on the internet, and finally, a call to a pond outfit near Atlanta, who gave me the key information I needed to retrofit our new pump into our existing pond system. The new pump is slightly taller than the old pump, and the pump outlet is 1.5" instead of 2". I bought several reducers, but the piping always ended up being too tall. I didn't know I was supposed to cut off part of the riser piping! So that was the trick. And the water is flowing once again. The replacement pump is guaranteed to work for three years. After replacing the other model 3 times in 6 years, I certainly hope so.